Blackbird’s prix fixe lunch is one of the best lunches in Chicago. Grab it for only $22 prix fixe. 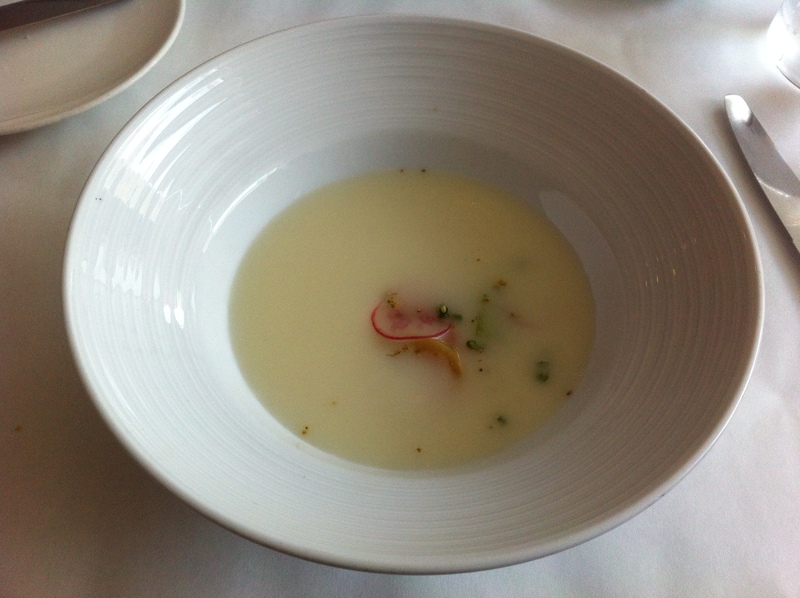 Chilled White Onion Soup with Sturgeon Belly (4.5/5) – Nice cold texture. A single plop of fish. Makes use of the “drowned world” soup plating technique, where a mini-Atlantis of ingredients is smothered at your table with soup. Interesting sour walnuts (I thought them pickled walnuts). Enoki mushrooms were fried and added crisp. 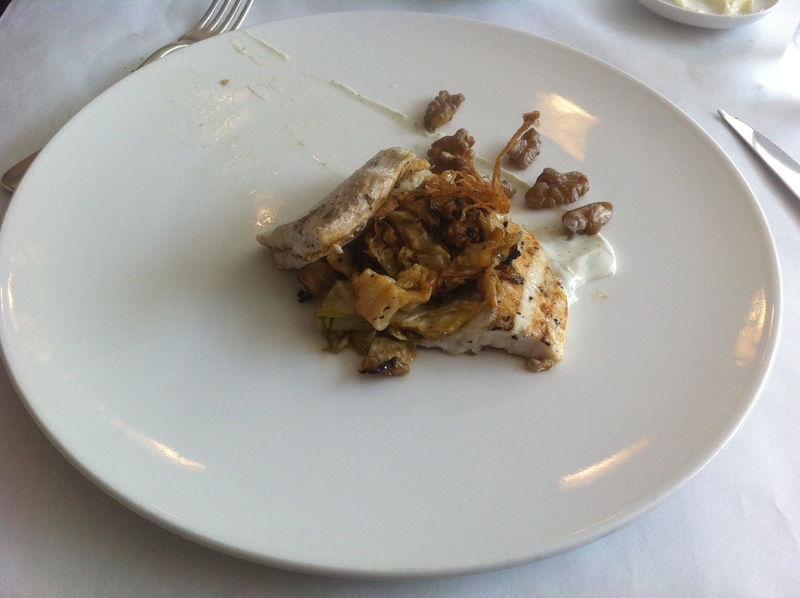 Sturgeon was bland, but easily disguised by heaping the generous kaffir lime mayonaise on top. 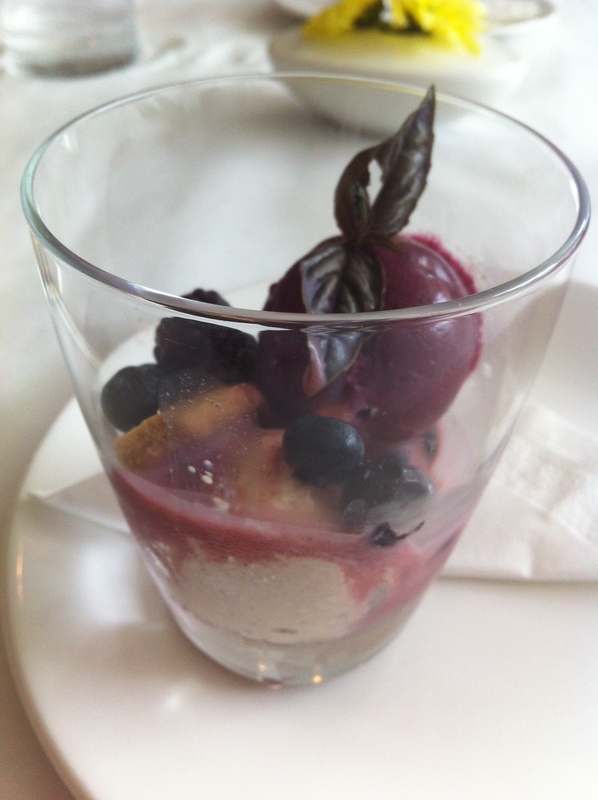 Blueberry Buttermilk Affogato with Blackberries and Cinnamon Basil (5/5) – Fantastic buttermilk biscuits, with blueberry sorbet and cinnamon basil ice cream. Drowned in blueberry sauce. Deserves to be mentioned with Charlie Trotter’s Thyme-Glazed Brioche with Georgia Blueberry Compote & Lavender-Blueberry Sorbet (5/5).